Here's an attempt at a diagram illustrating some of the conceptual structure of equality types. 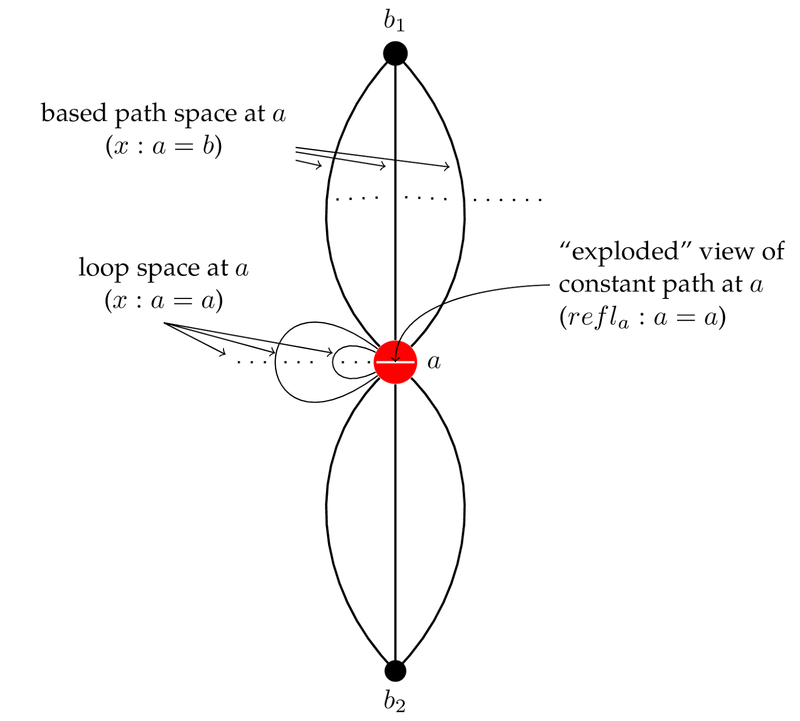 Latex source is at https://github.com/mobileink/graphics/blob/master/pgf/h-equality.tex. 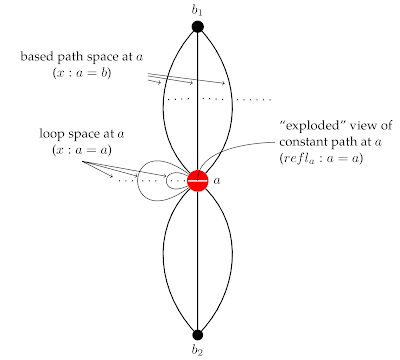 This diagram is intended to convey the idea that point a freely generates its path space, hence b_1 and b_2, that there are multiple "ways of being identical", multiplicity of loops at a, etc. Suggestions for improvement welcome.